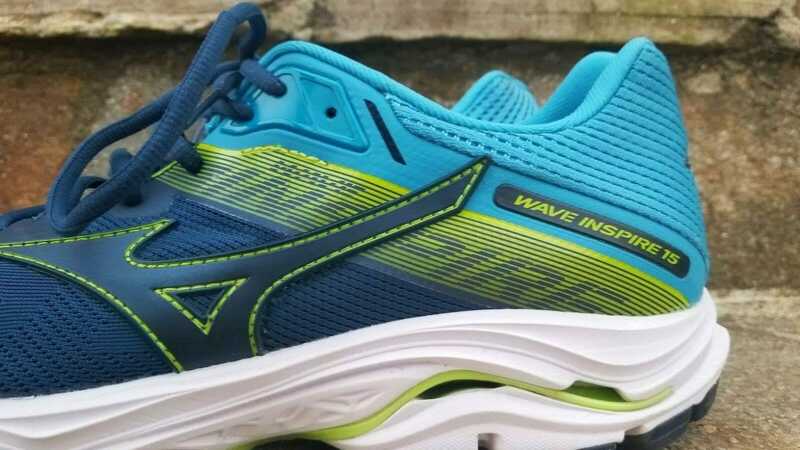 The Mizuno Wave Inspire 15 is a shoe that is true to its name - inspiring runners to go further and faster. Its adaptive ride and stability features provide great support and a smooth ride. 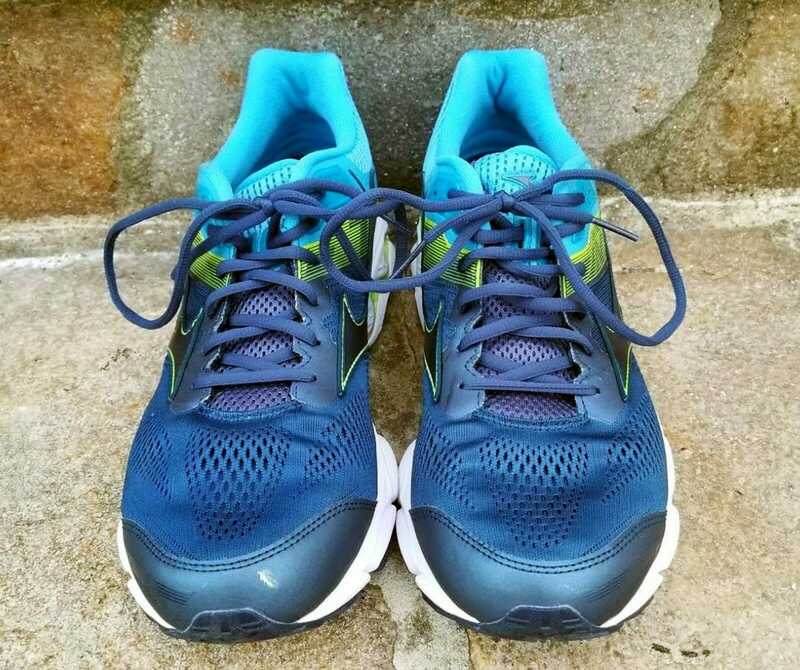 This is a high mileage shoe plain and simple; perfect for someone training for a half marathon and up. It caters to those with moderate to severe over pronation who need support. 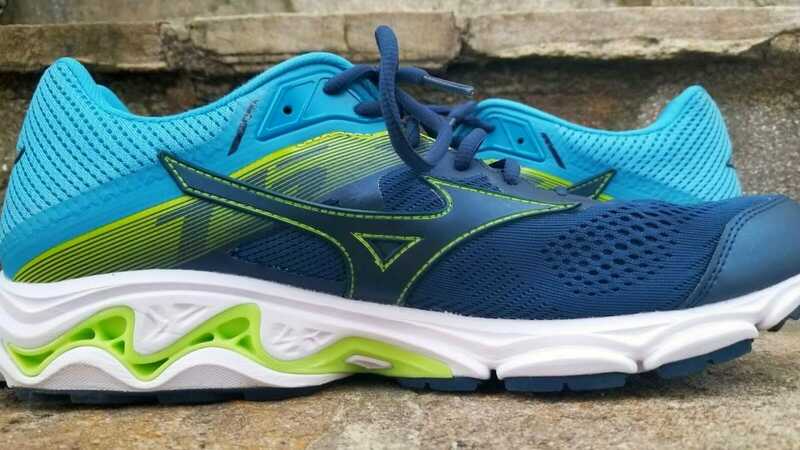 Mizuno returns again with their staple in stability; the Wave Inspire 15. Besides a redone mesh upper, there aren’t many updates. 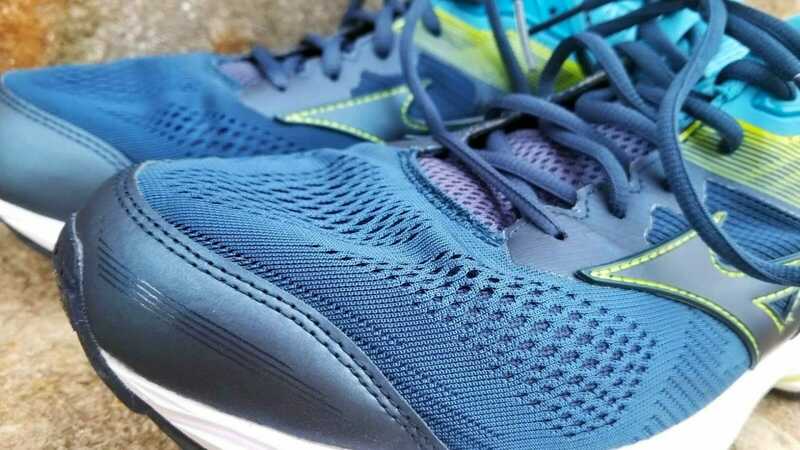 It has a moderately high price mark, but it can be justified in the fact that these shoe can easily go over the 500 mile mark. Direct competition include other stability trainers such as the Asics Kayano and Brooks Adrenaline GTS. The first thing I noticed was how heavy and bulky the shoes felt in my hands. 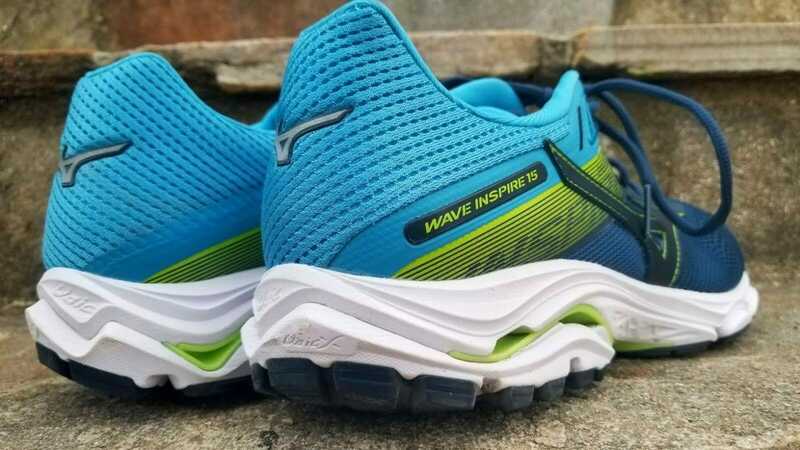 I did not test the Wave Inspire 14s, but I did test the 13s. Funny enough, these are lighter than the 13s, yet felt noticeably clunkier when holding side by side. Putting them on, they felt comfortable thankfully! I took them out for a shakeout and they fared well. Very smooth transitions and overall comfortable ride. I was a big fan of the colorway. I dug the color scheme. It has just the right amount of pop without looking tacky. The outsole is incredibly durable. Lots of grip and traction that performed well in bad weather. I put well over 100 miles in these shoes and there was minimal wear in them. This was huge for me as I am on the larger side and wear my shoes down pretty fast. The design and layout of the outsole looks to be catered to the heel striker. If the 12mm drop doesn’t give it away, the overabundance of foam in the heel compared to the forefoot should convince you otherwise. 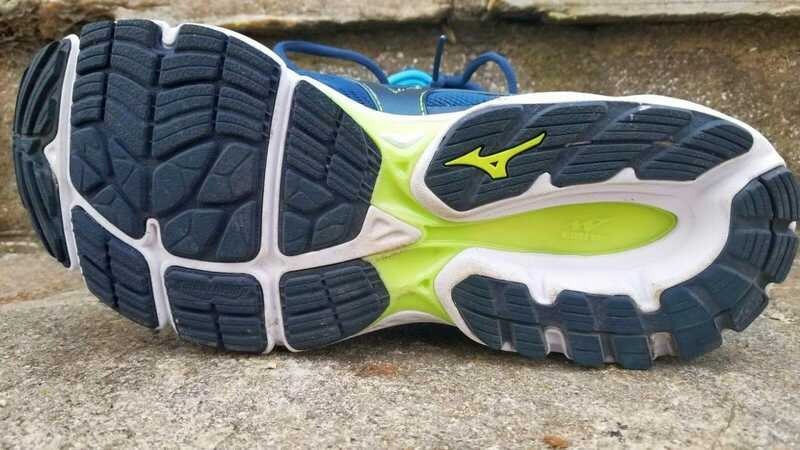 The midsole has 3 major parts: U4IC, the wave plate and U4ICx. Next is the fan wave plate; a piece of plastic with a wave design that extends to just about the ball of your foot. 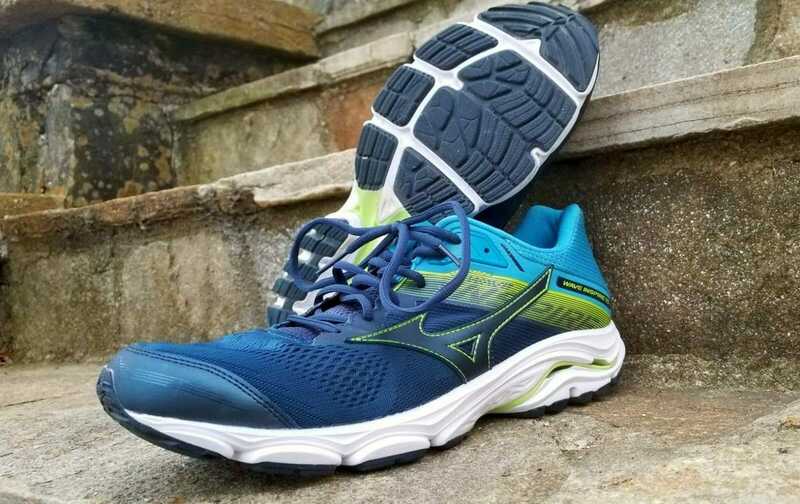 The wave design on the medial side of the shoe helps aid against over pronation and worked exceptionally well. The U4ICX foam is simply a softer version of U4IC and is located on the bottom of the wave in the crash pad. It gives an added layer of cush so the shoe isnt too firm. This multi layer system gives a ride that is firm, bouncy and responsive. It feels and looks bulky, but performs rather well. I found myself landing either on my midfoot or heel, and lifting off on my forefoot. Since the plastic plate only extends to my mid foot, there was noticeably more flexibility in the front of the shoe. It allowed me to lift off easier and faster if I wanted to. I was a little nervous that the transition to liftoff would feel awkward, but it was very smooth. The foam compound system gave me lots of control and allowed me to switch into faster runs if I wanted to. I found myself doing mostly longer, slower runs in these though. The upper is comprised of a breathable mesh with stitched overlays. I wore these in the tail end of the winter. They were comfy and the mesh repelled away cold water and snow. In a world of flyknits and no sews, it gives off an old school look which may turn away those looking for a modern look. This is not necessarily bad, because of how good they feel on your feet. The toe box has a ton of room; more than when I tested the 13s so this was a nice relief. The heel locks me in and I had no issues slipping around in the back thanks to the locked in feel. The tongue and laces are incredibly snug on the top of my foot which concerned me at first. It eventually stretched out, but still had some snugness through testing. Thankfully it didn’t cause any discomfort. It just meant I didn’t have to tie my shoes as tight. I didn’t see a need to size up despite this because there was no discomfort. I got to test these shoes going in and out of a marathon this spring. I ran my last 20 miler in them before race day and also did my recovery miles after a successful 26.2 mile campaign this March. I had concerns that this would be too bulky and heavy of a shoe that would do well for long runs and only long runs. The ride of the shoe was incredibly adaptive. There was a lot of shoe, but the midsole construction allowed me to turn up in pace if I wanted to, but also do my moderately paced long runs and recovery jaunts. 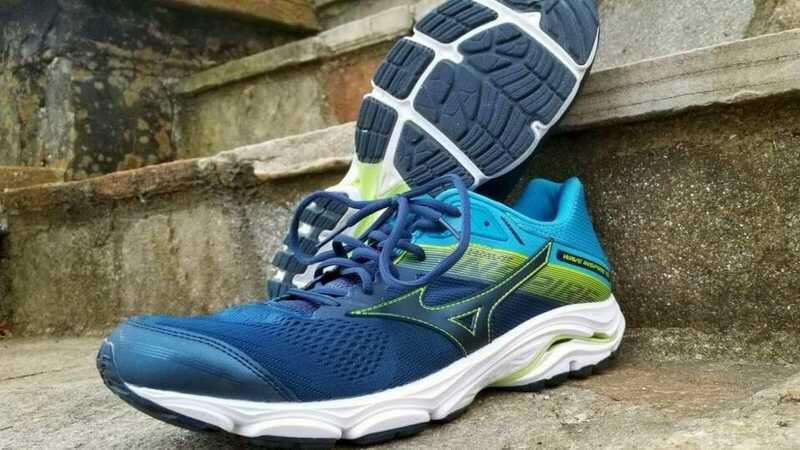 This shoe is a staple for long distance running. It shines for the long run and packs some surprises that allowed me to do some moderately fast paced runs without feeling like I was overdoing it. My only complaint was how long it took to really break this shoe in. It felt stiff at first and took about 50 miles for me to feel good running in them. Give the shoe patience and it will certainly pay off for you. 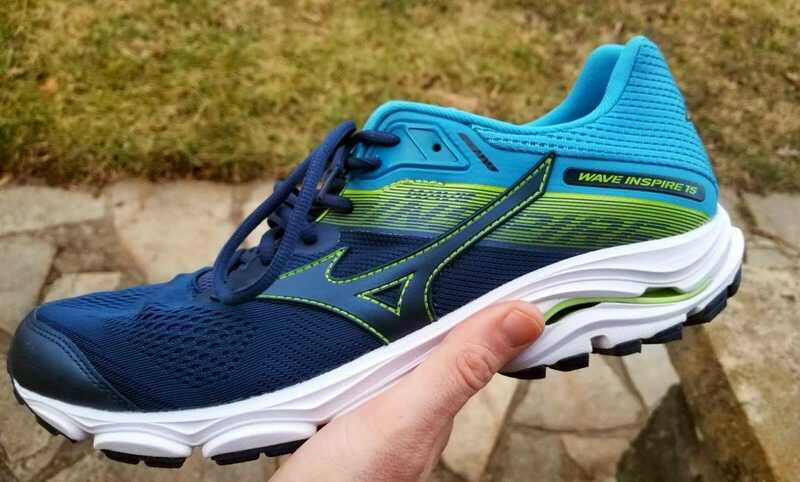 We purchased a pair of Mizuno Wave Inspire 15 from runningwarehouse using our own money. This did not influence the outcome of this review, written after running more than 50 miles in them.